You all know my love for makeup and how much I like trying out new makeup products. Apart from lipsticks, I love applying blush so much since it makes me look fresh and young. I’ve tried so many blushes from different brands and was looking for a good blush recently. There are so many matte and cream blushes that I’ve used in the past and was wanting to try a baked blush since quite some time. I came across the Swiss Beauty Baked Blusher Highlighter while I was searching for a good one. I thought of giving it a try since its been some time I hadn’t used a baked blush. Today I’ll share my views on what I feel about this duo of baked blusher and highlighter. Honestly, I am not much of a fan of baked blushes since they have shimmer particles in them, and they don’t look good on my face. But the Swiss Beauty Baked Blusher Highlighter caught my eye since it comes with three different blush shades along with a highlighter. The palette comes in 4 different variants and I picked the 02 one since I felt it would suit my complexion the best. After trying it out, I feel this particular variant would suit almost all types of skin tones since it has different blush tones and a pinkish highlighter. “Create a radiant glow with Swiss Beauty Baked Blusher & Highlighter that instantly highlights the skin with a sheer wash of shimmering color. 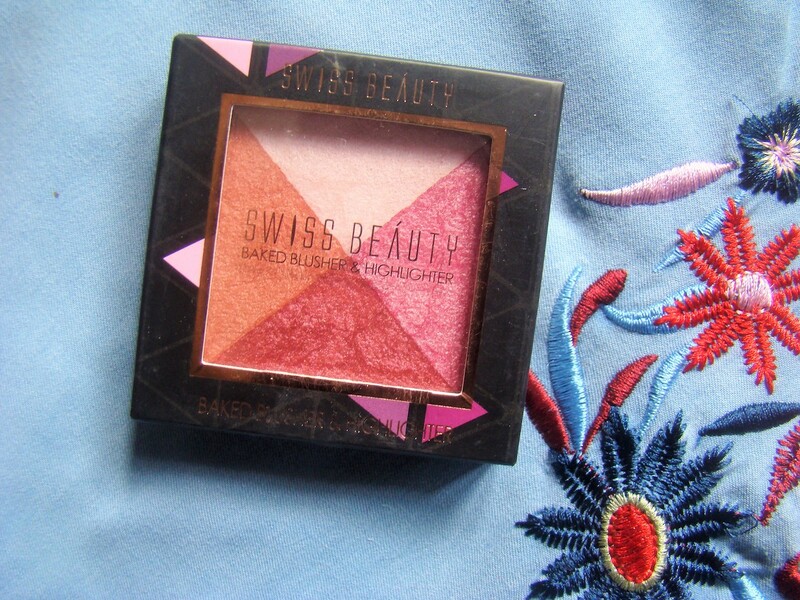 The soft & shimmering color of Swiss Beauty Baked Blusher & Highlighter creates a natural healthy glow. The long lasting formula provides a gorgeous, smooth and even application. 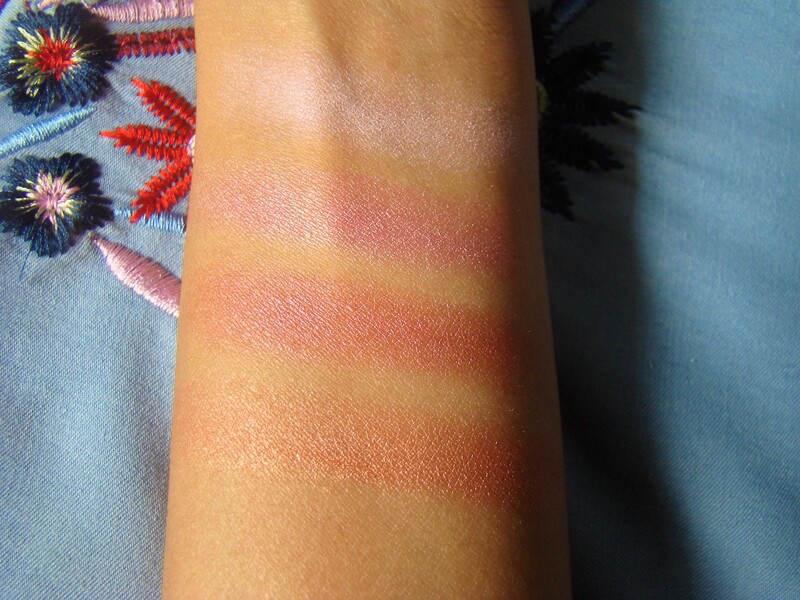 This blush is infused with transparent pigments to avoid heaviness on the skin. Its luminous silky formula makes your cheeks glow”. The Swiss Beauty Baked Blusher Highlighter comes in a black cardboard box with all the details about the product mentioned on it. The product has a clear plastic flip lid that needs to be opened. You’ll then find all the blushes and highlighter in the palette. It is not much appealing or attractive, but that’s not a big concern for me. The colours however look so much bright and attractive and that’s what made me want to try it. The colours are quite pigmented and apply well on the cheeks. However, the only issue I am facing is that there is a lot of fallout when the brush picks up the product. Also, I have to apply it extremely light handed since it is pigmented. So, the Swiss Beauty Baked Blusher Highlighter retails for ₹252 for 7 gm of product which I feel is much reasonable and cost effective. You get 3 different tones for blushes along with a highlighter and there’s nothing better than so many colours in a product that is so affordable! 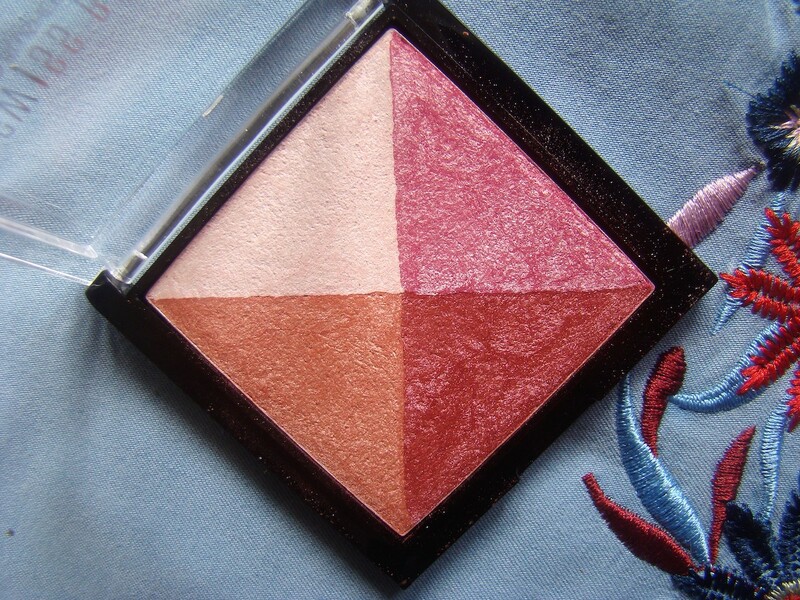 I have liked using tSwiss Beauty Baked Blusher Highlightert so far since it gives me a very natural and sun kissed look. Just a little bit o product and it transfer so well onto my skin. I personally like the coral-orangish shade more than the other two. But if you’re someone who likes more pink and reddish blush shades you can totally rely on it. Also, the highlighter has a pink sheen to it which I like when I want to amp up my highlighter game. I would totally recommend this product if you’re looking for a combo of blushes and highlighter that gives you a natural glow. I always look forward to using this when I don’t feel like applying much makeup. CLICK HERE to buy the Swiss Beauty Baked Blusher Highlighter online.